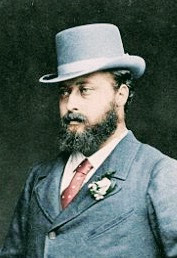 Crowned King Edward VII in August 1902, the former Prince of Wales threw himself into his new role with energy. 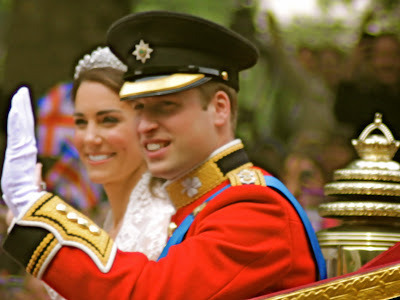 His reign restored sparkle to the British Monarchy. Diplomatically skilled, he was the first British Monarch to visit Russia. In 1902, he founded the Order of Merit to reward those who distinguished themselves in science, art or literature. Related to most European royalty and known as the ‘Uncle of Europe’, he was able to assist in foreign policy negotiations. His well-received addresses during his state visit to Paris, helped pave the way for the Anglo-French Entente Cordiale of 1904. Hidden away in the weekly gossip column of The Birmingham Post, is the following remarkable account of the change which has come over His Royal Highness, the Prince of Wales. “We are all Socialists at heart.” said the Prince of Wales the other day, when talking to a statesman of the old school, who was lamenting the progress of Socialism. “And this conviction renders the outward semblance of Conservatism more and more difficult to maintain.” This feeling on the part of His Royal Highness, combined with the necessity of upholding the old institutions at Court, must have rendered the Prince’s position irksome at times. Report declares that he has, for many seasons, been using every endeavor to establish discipline among the ladies and gentlemen of the Court circle by observance of the strict rules of etiquette established in the early part of the present reign. During the long retirement of her Majesty after the great affliction which befell her, the discipline she had established grew somewhat relaxed, and various Court scandals served to point the moral and adorn the tale of the stump orators and brawling demagogues, who remained unmolested in their attacks, until it became difficult to put them down. The Prince of Wales was only awakened to the necessity of assuming the responsibility of his position by his own name being unjustly compromised, and he then resolved to restore the dignity of the Court, which had been suffered to become a prey to the slanders of the Socialistic party.